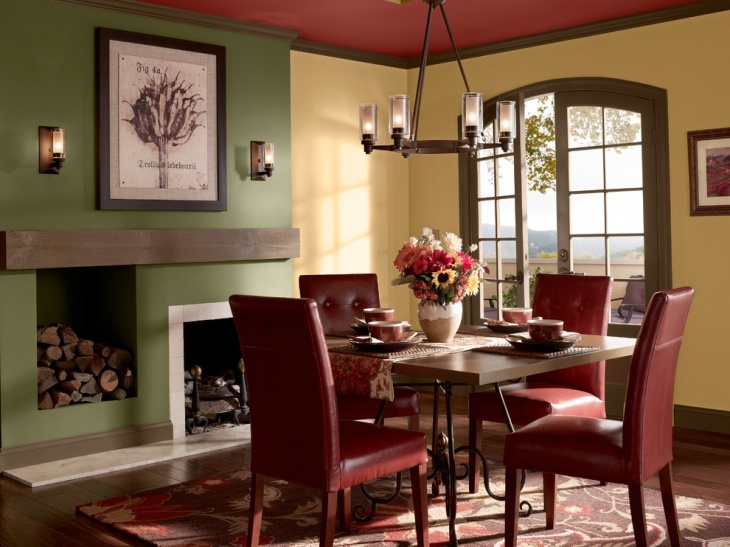 Your choice of colors for your dining room plays an important role in creating a design for your interiors. 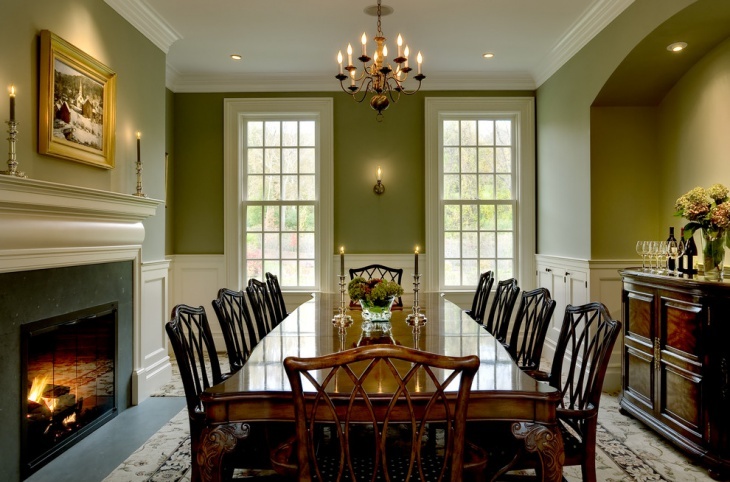 In most cases, it is safe to match your dining room color ideas to the color motif used for the rest of the home interior. 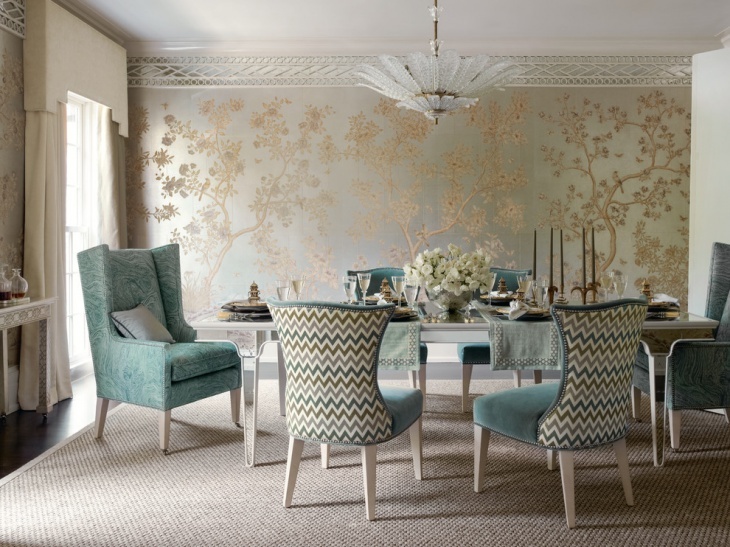 You can also be bold enough to go against your main interior color options and choose a totally different color combination for your dining space. 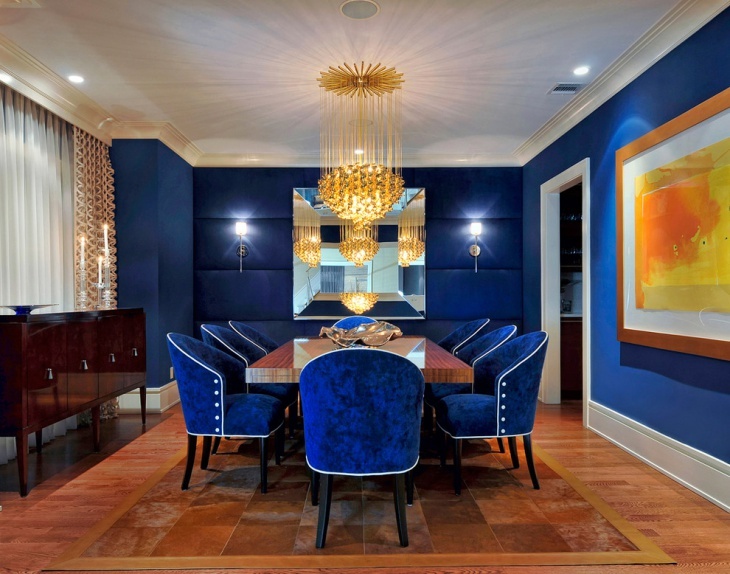 Blue is a nice color to use for dining rooms. 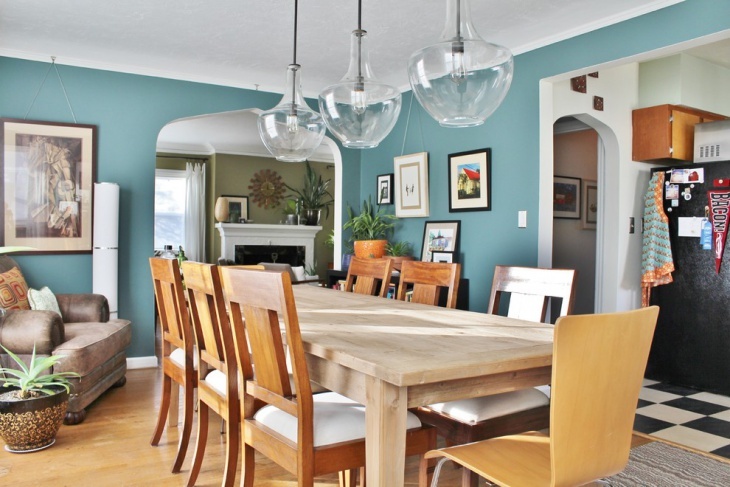 This dining room, for instance, has a nice shade of blue for the walls. The blue hue is a perfect match for the white ceiling and white wall of the adjoining kitchen. This home interior is actually the perfect example of having different kitchen and dining room colors. 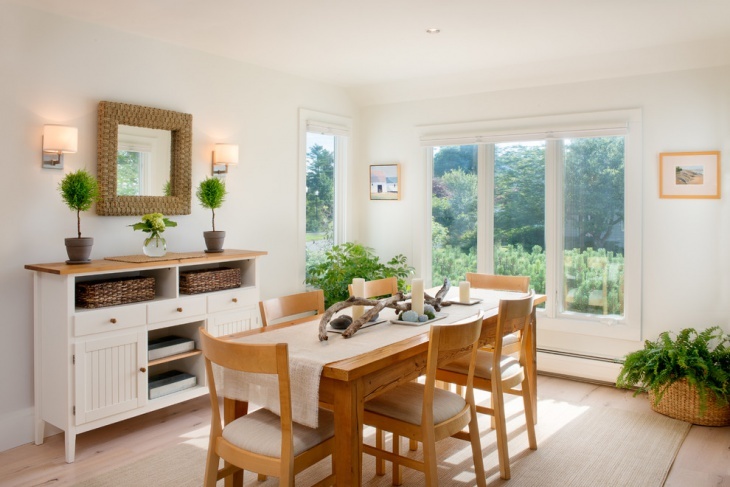 The richness of browns and natural wood colors are very much evident in this dining space. 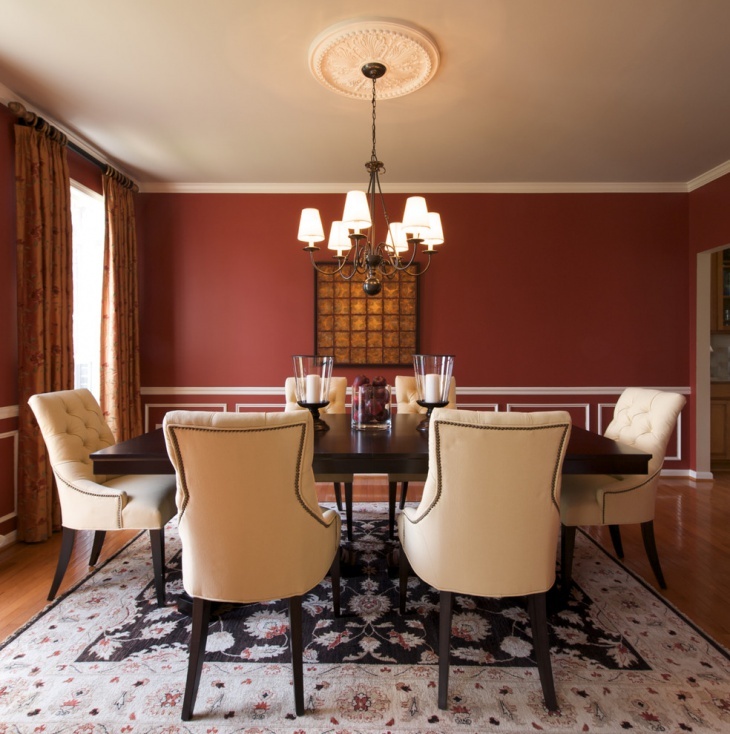 The formal dining room color idea results in a classy look that brings out the best in every single piece of furniture and decorative feature. 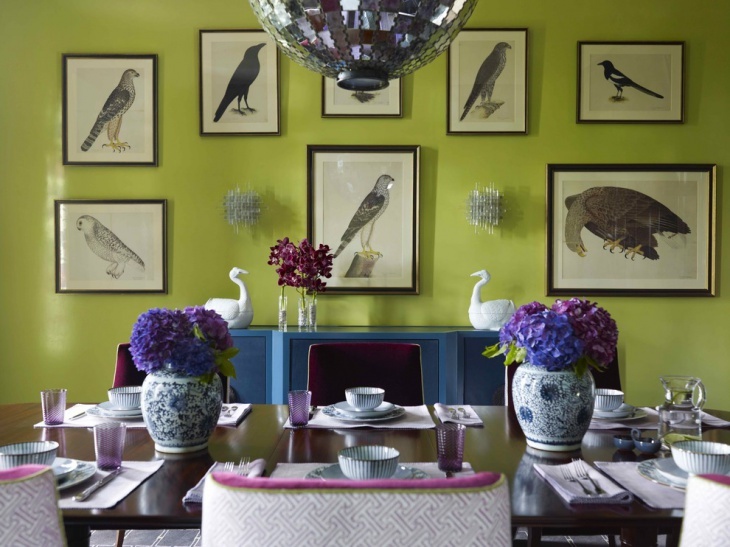 Your wall art can dictate whether your dining room design is a success or a failure. The wall art used for this dining room is big enough to draw enough attention, but not too big that it eats up the entire interior design. The blue curtains facing the wall art provides a nice contrast, as well as the two round mirrors over the buffet table. Do you want to go bold? Go for red dining room wall. Just make sure that you have the right furniture pieces and rug to go with it. 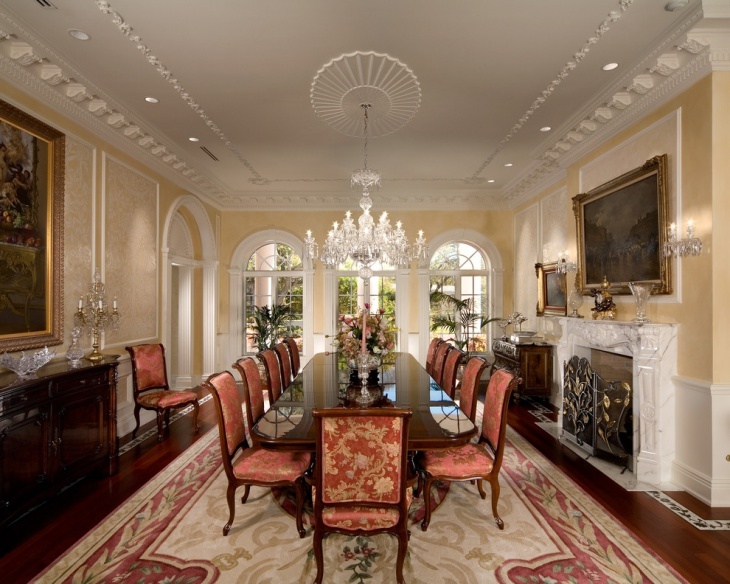 Take a look at this particular dining space. The red paint used for the wall is subtle enough in shade that it matches the white upholstered chairs, the dark colored rectangular table and the light colored printed rug. 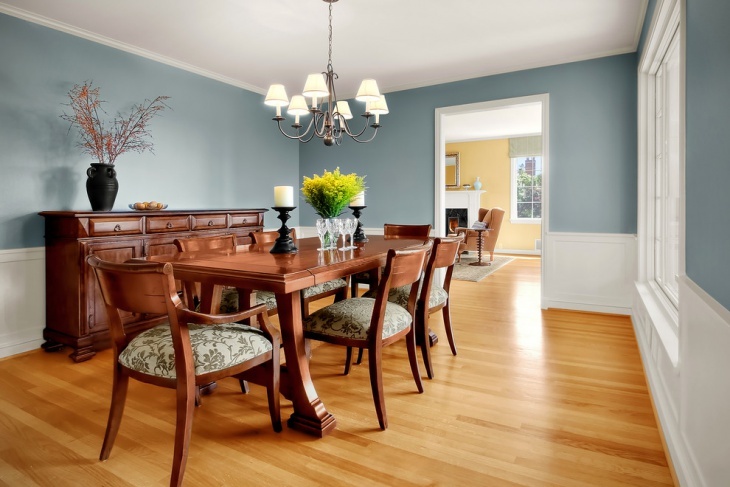 Blue, white and wood brown – these are the colors that make up this traditional dining room. The light shade of blue used on the wall matches the white lower wall and ceiling. 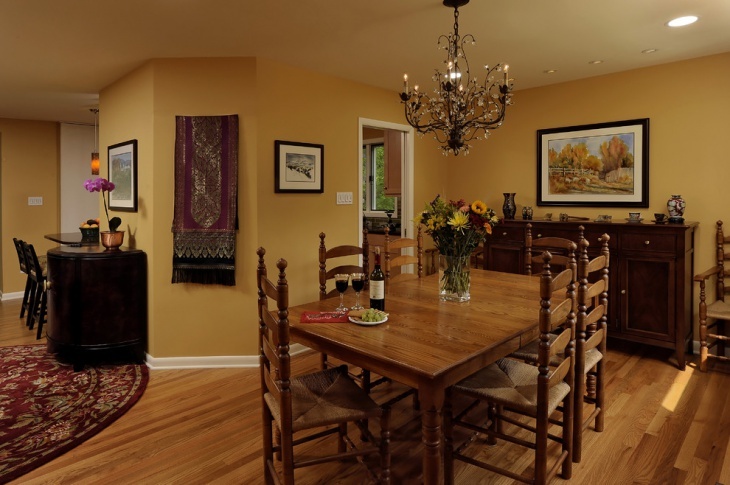 The light colored wood flooring is the perfect base for the darker wood color of the dining set and the sideboard. 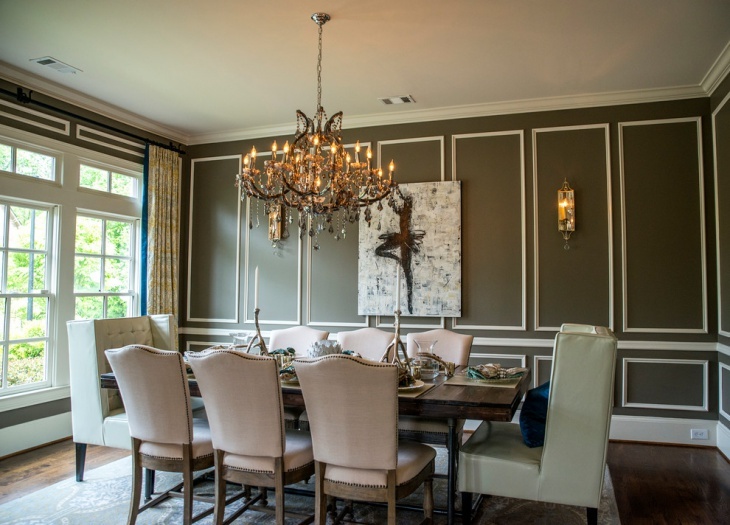 Black paint for your dining room wall? Why not? This could be a very risky approach, but with the use of the right matching color and dining features, you can easily pull it off. Use white for the ceiling and you have created the perfect match. The same scheme should go for the dining set – black table and white upholstered chairs – to complete the black and white set up. 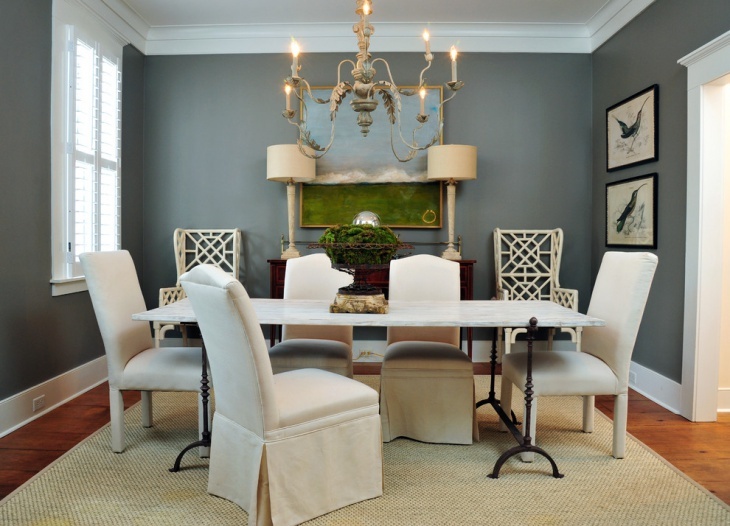 You don’t need 50 shades of gray to create a nice gray dining room design. Just one shade is enough. The gray wall for this dining space is matched with a traditional white ceiling, wood flooring, and one-of-a-kind all white dining set. Pick out an ideal purple shade and you can surely come up with a beautiful and enticing purple dining room. Decorate one wall with a huge landscape or abstract painting and match it with light gray dining table and gray colored rug, and you have nailed it.